Hello everyone. This is Koretoshi Maruyama. On January 31st 2019 I appointed Peter Kelly as international chief instructor and I wanted to take this opportunity to explain the roles of each type of instructor in the new structure of Aikido Yuishinkai. The international chief instructor is at the top of the organizational structure. National chief instructors operate under the auspices of the international chief instructor. 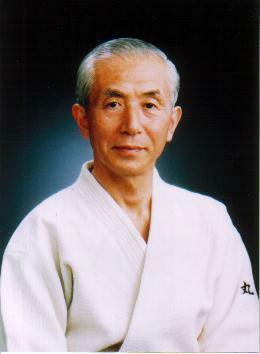 Below national chief instructors are the head instructors of each dojo. There is also an international instructor (Martijn van Hemmen), whose role is to assist the international chief instructor. The international chief instructor may only visit a country to teach if invited by the national chief instructor of the country in question. The international chief instructor may not unilaterally decide to visit a country to teach. Also, if the international chief instructor has been invited to a country but is unable to visit for any reason, they may send the international instructor in their place. In addition, if a national chief instructor makes a direct request to the international instructor, the international instructor shall promptly inform the international chief instructor of such, and may teach in the country in question as a representative of the international chief instructor, having received the approval of the international chief instructor in advance. When visiting another country to teach, the international chief instructor and the international instructor may only give instruction regarding technique and spiritual teachings. They may not comment on matters such as the content of gradings unless asked to do so by the chief instructor of the country in question, just as I do not. I hope this explanation helps you to understand the roles that Peter Kelly and Martijn van Hemmen currently hold. If anything is unclear, please ask me about it directly. I’m deeply grateful for your daily efforts to help Aikido Yuishinkai to transmit the techniques and spirit of true aikido as handed down directly by Morihei Ueshiba sensei. I would like to take this opportunity to name Australia’s Peter Kelly and The Netherlands’ Martijn van Hemmen as Aikido Yuishinkai International Instructors, effective as of 1 February, 2016. Please do not hesitate to invite either of them to teach in your country. Both of them have received instruction from me for many years and I guarantee that they have the ability to transmit the techniques and spirit of true aikido. That is to say that learning from them is equivalent to learning from me. You may contact either of them directly, and there is no need to ask me for permission. I will also be available to teach internationally if circumstances allow it.